What is the big deal about social engagement and why should I participate? Take a step back and think to yourself, how many times did you feel accepted when you got a letter of invitation in the mail. Or when your best friend was having a birthday party and they come to you, asking if you want to come and join in on the festivities. Everyone has a need to be accepted and when that needs is acknowledged, we feel like the best thing since sliced bread. Everyone has an ingrained need for acceptance. When you find in yourself that need, you find it much easier to understanding how to engage in social media. Everyone one is looking for that one conversation to get involved with and if someone responds to them it means the world to them. Just think about all your relationships you have developed down the years, how did they develop into lasting friendships? How did you stay in contact even though life got in the way of any physical contact. You might of kept a conversation going by responding to each other and because of that it endured. Understand each social media networks and how to measure your success. There are several social media platforms out there, I’m going to only mention four just to keep it simple, Twitter, facebook, Google+ and Pinterest. When I’m talking about understanding them, I mean how do you measure engagement with each media. Twitter sees engagement as @mentions, Retweets, hashtags and direct messages and your window of engagement is very small. It’s much like having a classroom of Fifty students and everyone wants your attention. You will want to keep your responses short and to the point, fifteen times a day. Facebook see engagement as likes, comments, shares and impressions, your window of engagement is quite big. Much like a Bulletin board but on a larger scale, you can post short paragraphs with pictures or videos. With this media, you will want to limit your posts to once a day. Unlike twitter, you have a small frame of time to engage so you will want to make it good. Just like I mentioned earlier, going back to when you developed your first friendship, someone had to make the first impression to get the relationship started. Every lasting friendship starts with someone who initiated it. The person who initiated the conversation are usually the ones remember better. Some great ways of doing this is hosting Q/A session, ask questions through twiiter or facebook and ask for responses. This a great way to open doors for others to see that your only human. If you can become the center of participation and interaction, people will want to engage more with what you have to say. One great way to promote your brand is by promoting other people’s content that are similar to yours. You can use hashtags and keywords to find people that are writing content on your topic. You can establish your own content by acknowledging other’s, witch will build your own reputation. The internet is built by everyone working together, one person doesn’t know everything but we can know everything through one another. People want to get involved and the more involvement you create, the better it will be for your reputation on that topic. Facebook users alone watch 100 Million hours of video every single day. And 82% of twitter users watch video on that network, that says something about the ability to engage with someone you can see. You can start with something as simple as your phones video camera. Even just a two minute video can create engagement that you can gain from. Use storytelling when making videos, when someone can relate to what your talking about, they will want to engage. When someone hears their name called, it produces an emotional response. It doesn’t have to be an extensive report on how much they have contributed, sometimes giving a simple thank you goes a long way toward developing a relationship. Remember when I mentioned all the different types of social medias and understanding each of them. Well, the time frames of engagement are different with each of them, so you will want to schedule your content accordingly. With facebook, you will want to post once a day and with twitter, you will want to post 15 times a day. That might start sounding too much after a while which is why social media tools where made. The crowdfire app is a cool way of organizing and scheduling all your tweets, I personally have used it to organize all my 1.4k twitter followers. It starts you off as a free trial, but after a while you find there are features that you will want with the regular package. The price isn’t much, just 3.99 a month, a very reasonable expense. I don’t worry too much about facebook as you only post once a day and that in itself is obtainable. The very reason why Pinterest is so popular, people engage better when they can see what they are engaging with. Using relevant imagery goes a long way in social marketing, by using images that are related to the conversation that your are intiating, you will find your engagement go up. Another great tip when using images is by naming the images with a keyword, it helps in SEO management and for those who can see the image. This is by far one of my favorite tools to use, I”m constantly referring back to this tool every time I’m writing content. When you sync your website with google analytics, you will get data concerning your website that will show you what people visit most. That data can be use to determine what kind of conversation needs to be initiated. You can use Google Analytics to find what sites your visitors are viewing and use that to initiate engaging conversations that will build lasting friendships. So instead of using old content that no one is visiting, you will be able to use content that everyone wants to hear. Creating a facebook group is a great way to put yourself out there. To ask questions, get feedback on your upcoming content and other projects, and even share content. That four letter word, ask. It’s amazing how we develop a strategy for social engagement and simple forget to ask. You would be surprised on how many are actually waiting on you to ask for engagement. Remember that need I talked of? Well when you ask, you’re actually allowing others to fulfill that need of theirs and people are more than willing to respond. Just like those like buttons on the button of facebook comments that let others simply click if they like. You need to make your website easy for others to engage. Check out my article on website design, I mention a plugin within WordPress called super socializer that makes it easy for others to click on and engage. The quicker, the better. People love a quick res-ponder with anything. It shows that you care about what they think. There’s been so many occasions where someone is so pleased with how fast you got back to them, they express so much gratitude. I’m sad when I see accounts that have laid dormant for years or even a few months, nobody wants to engage with a corpse. They are not very talkative no matter what kind of horror flick you might see. This is why I hate automatic responses, it’s alright to write your responses out beforehand and have them sent out when people want to engage. To keep yourself human, you need to respond to those. Use first names when responding, people love that and feel more appreciated when you do. It also helps when you use your first name when you respond instead of admin. A name is something that people can relate to and makes you more human. This one is something you need to keep an eye on and be careful with. Using current events that are happening world wide can be use within your content if they are related to your niche. That very word is the reason company’s out source their social engagement. That is if you can afford it, of course my personal view on that is that I love to engage with others. I couldn’t image myself not being the one to engage. There is so much out there, where do I start? Well you could start with joining a community, there are some great communities out there that you can join that will provide you with people you can start socializing with. 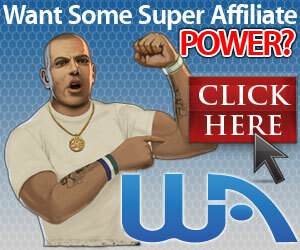 Next Next post: My Review On SFI Affiliate Center, Is It Legit Or Scam? This is one area that I am going to work very hard on this year. Your post on engaging on social media is very timely.Twitter is the first network I am going to work on. I see that you post about 15 times a day on Twitter, how well does this work for you, I have just started and find that I am only post about 2 times a day. What schedule do you use for the time of day post. You need to take into consideration different time zones around the world. By spreading them through the day, you can reach out to more people of different time zones. Thanks for these tips, Nate. I find I get most of my visitors from Twitter, which makes sense since I have a lot more followers on Twitter than on other social networks. I am a little surprised at how well Pinterest and Google+ have done for generating traffic. They are a lot more effective than I thought they’d be. Social Media can be the most untapped potential resource of Online Marketing. When people are given the outlet to speak up, they use it. Which brings in the traffic you need.